Welcome to the Crazy Christmas Giveaway Hop hosted by GoingCrazy!! WannaGo??!! and Planet Weidknecht. 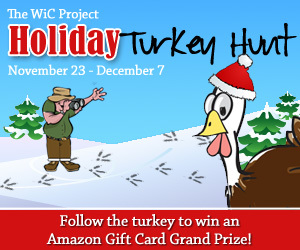 During the Holidays, things can get crazy, but we are here to help you take a break and win some great prizes!! Each blog is sponsoring a giveaway of at least $25 value. So, join the crazy and Have Fun!! I will be some gift wrapping essentials, tape, scissors, gift bags, ribbons , bows, name tags, box of hot chocolate & some surprises. Be sure to the blogs in this giveaway especially Mommy's little sister http://dealsharingaunt.blogspot.com . Good Luck ! 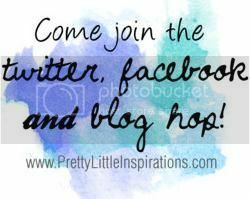 Now Hop over to the other blogs and enter their giveaways!! Disclosure: GoingCrazy!! WannaGo??! !, Planet Weidknecht, and the Crazy Christmas Giveaway Hop bloggers are not responsible for sponsors who do not fulfill prizes or for prize distribution unless it is noted that they are self-sponsoring the prize(s). Welcome to the “Have Yourself A Merry Little Chistmas” Giveaway Hop! Brought to you by Super Events Media & Social Marketing Mom! This event runs from 12:01am December 1st till 11:59pm on December 15th. At the bottom of this post you will find links to all of the participating blogs where you can enter to win a fun Christmas related prize with a value over $25! This super cool giveaway is hosted by Full Price? Never! & MyCraftyLife! Don’t forget to stop by these other awesome blogs & enter to win their great prizes too! We will be giving away some items to use on your Christmas table. Christmas napkins, cups, plates, Christmas tablecloth, decorations, candles and some surprises. 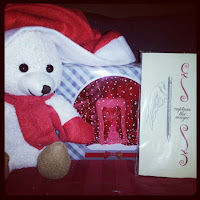 Please enter all of the other blogs in this giveaway especially Mommy's little sister http://dealsharingaunt.blogspot.com . Good luck ! This is a Three in One Collection The Sound of Sleigh Bells, The Christmas Singing and the new story The Dawn of Christmas. I am also giving away, The Best Of Country Cooking 1999 by Taste of Home Books, a great collection of recipes. Please stop at all of the other blogs in this giveway especially Mommy's little sister http://dealsharingaunt.blogspot.com Good Luck! 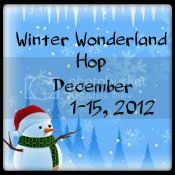 Welcome to the Winter Wonderland Event hosted by Andersons Angels and Joy of Momma Joyner. This Event features a little bit of everything! Each blog has gathered up a unique Prize Package of $25 or more so be sure to visit each blog from the linky below and enter for your chance to win some really amazing prizes! This event will end on December 15th at 11:59pm EST. I am giving away a few minutes of relaxation, after the shopping and the wrapping it is great to be able to just sit back for a few minutes. I am giving away hot chocolate, tea, coffee, cookies, a candle, Christmas mugs. and a few surprises. Please be sure to enter all of the blogs in this giveaway especially Mommy's little sister http://dealsharingaunt.blogspot.com Good Luck. Disclamer: 3 Partners in Shopping & Andersons Angels, Joy of Momma Joyner and the Winter Wonderland bloggers are not responsible for sponsors that fail to fulfill their prizes. We had our AT&T House Party and we had so much fun watching the great shows that were on. It is wonderful to be able to watch great movies and shows by touching a few buttons on your remote control. 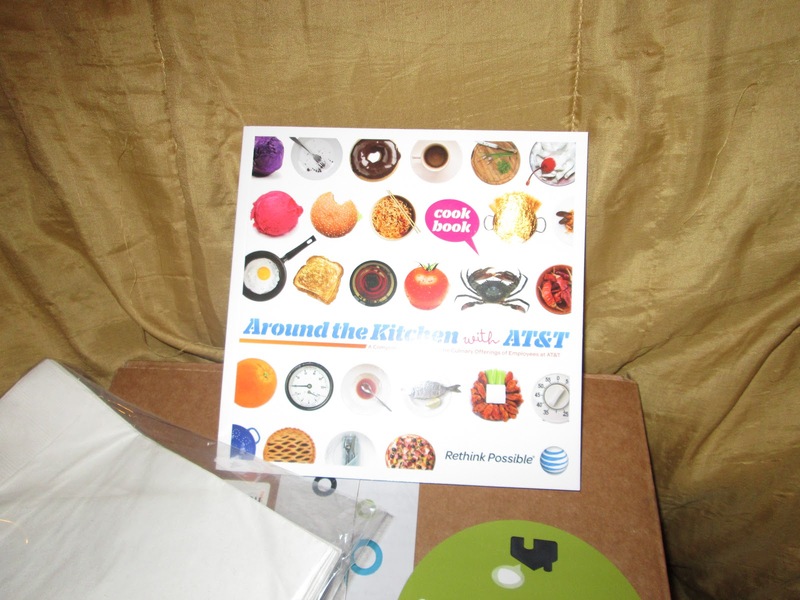 I was sent mugs, napkins, a bowl that was great for popcorn, some picture frames, and a cookbook called Around The Kitchen With AT&T. You can see Bobo looking for a recipe that he wants Mommy to cook. We had popcorn, soda and it was like going to the movies only cheaper and more comfortable. Everyone that was in attendance agreed that this was great programming and they had a fantastic time. Everyone said that they were going to look into this further as a great means of cable programming. 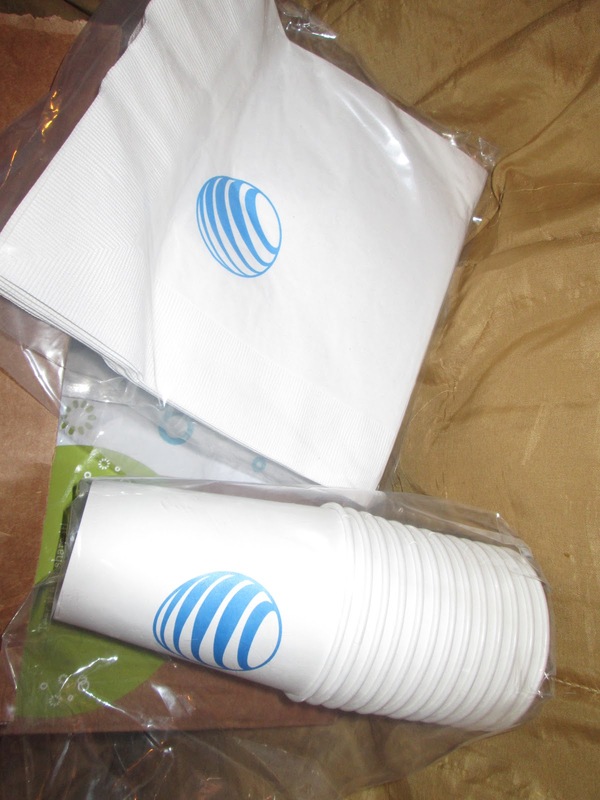 I was sent the items through House Party and AT&T for the purpose of having a party to review their products. I was given no other compensation and all opinions are my own. We survived Thanksgiving week. It is truly amazing because it is not just a regular family event. Mommy's birthday is November 21st , my birthday (Nana's),is the 24th, and Nana's sister is November 25th. It sometimes works out that one of our birthdays is actually on Thanksgiving. We do, however, almost always celebrate our birthdays together on turkey day. Mommy was able to get a lot of the items she wanted for presents by going online at the crack of dawn on Black Friday. 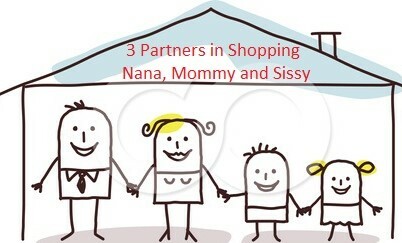 I was too tired to help, but Daddy stood outside of a few stores, as did Mommy's little sister at http://dealsharingaunt.blogspot.com . Bobo and Sissy have started to make out their lists. I really think that because they are homeschooled they are not really concerned that they have something that everyone else has, but what they really do want. This year we have decided to really try to get each other things that we really need. Last year we lost power twice, during the hurricane and the early snow storm. This year we had another hurricane. Our state Connecticut is trying to recover. When we were without power last year for almost 9 days we had to do without heat, hot water, and the outside world. The main thing was that we all came together and helped each other. For the first 2 days we all stayed at Mommy, Daddy, Bobo and Sissy's house because they had a fireplace. This year when we lost power we had bought 3 generators. 2 of the families that bought them lost power for almost 2 days. It is a great feeling to know that we will have power if this ever happens again. Poppie would have been 60 years old in 2 weeks if he had not had a cardiac arrest. I believe that these holidays are when we really feel the loss of our loved ones. We are like other familes. If a family has lost someone they should be remembered, especially during the holidays! Cara Hamilton is a woman on a mission. The year is 1897 when she arrives and finds herself in New York at Ellis Island. It has been 2 years since she has heard from her twin brother Eoghan, and against all odds she has finally received a letter from him. When she received this letter she immediately gets on the first boat she can to go find him. This is the reason why she has found herself in Ellis Island. In the letter her brother has told her not to trust anyone when she reaches America to try to locate him. She does although meet a man named, Rourke Walsh, who has said that he is her friend. She finds herself trusting him, and she tells him about her brother. She asks questions continuously, all the while getting that much closer to finding her twin brother. She is unaware that those who wish to kill her brother are following close behind her. She is starting to lose all hope ever finding him, next she begins to lose her faith. She must face questions to be able to move on. Will she ever see her brother again.? Will he be able to bring Rourke and Cara together? Will they have a life together? How many of us have heard this story? There are many of us who know the stories of Ellis Island. This was a story of many people coming to America to start a new life from all over Europe. This is a historical Christian suspense romance novel. I enjoyed the book but it seemed to be a little slow moving. I was given this book by Bethany House publishers for the purpose of a review with no other compensation. All opinions are my own. What is This Grandmother Thankful For This Thanksgiving Weekend ? So what is this Grandmother thankful for this Thanksgiving. I am thankful that we are all healthy and were able to spend the day together. I am thankful that tomorrow I will be 59 and I have 4 wonderful children and 3 fantastic grandchildren. I am thankful for the rest of our family and friends. I am thankful and I need to say this, once again that my daughter has decided to homeschool my grandchildren! With the love and support my other daughters, my grandchildren have done more in 7 months of homeschooling than they even came near to imagining while in school last year. Another child in a nearby local public school has died after being being pulled out of a pool. A child gets shot in another state. What is going on? I have said in an earlier post that my grandchildren have been enjoying the i-Pad that we purchased a few months ago. Imagine how I felt when Bobo and Sissy were arguing the other day about who was going to use the computer. Just a few months ago they were not even interested , nor did they want to learn, how to use it. It is not merely going on a website that is already up but typing in a website or scrolling down what they want to find. They have begun reading, Sissy a little faster. I have found after serving on the local board of education and speaking to teachers and other parents there just aren't enough computers and or i-Pads to go around. There are about 25 kids in a classroom sharing a few. They are not able to get the kind of schooling that Bobo and Sissy are having the opportunity to have. I wish that other parents look into homeschooling their children, it could potentially be the best decision they have ever made. I am giving away 2 large trade size paperbacks by 2 of my favorite authors...........One For The Money by Janet Evanovich...........and Ready For Love by Debbie Macomber. Don't forget to enter all of the giveaways below especially Mommy's little sister http://dealsharingaunt.blogspot.com . Good Luck! The grand prize is open to eligible US and Canada residents (excluding Quebec) and is (currently) a $120 Amazon GC. I am giving away A Gooseberry Patch Christmas Book Number 8 which is described as , A Holiday Sampler of Tasty Treats, Festive Trimmings and Shiny-Bright Delights for Your Holiday Home. I will put in a surprise or two!I have to honest, I love these books. This is sure to get you in the mood for decorating and enjoying the holidays. Please be sure to enter all of the giveaways below, especially Mommy's little sister http://dealsharingaunt.blogspot.com Good Luck ! 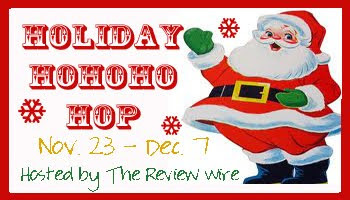 Welcome to the Holiday HoHoHo Giveaway Hop hosted by The Review Wire! With Christmas being only a few shorts weeks away, we decided that a Hop to help you get ready was in order! This event will run from December 23 through December 7, that gives you enough time to hop on down the list and enter all the Giveaways! Each blogger is giving away prizes valued $25 or more. The Review Wire is hosting the GRAND PRIZE: An Autographed Copy of Jeff Kinney's newest book, Diary of a Wimpy Kid: The Third Wheel, signed by Jeff himself (RV $125). Thanks for playing along and Merry Christmas. Our giveaway is open to residents of the U.S. I am giving away different small kitchen gadgets. Measuring cup, kitchen scissors, spatula, stainless steel scrubber, a sugar container, kitchen towel, and more surprises. Please be sure to enter all of the other giveaways especially Mommy's little sister http://dealsharingaunt.blogspot.com Good luck ! Wow, we were able to find this website that makes wonderful gift baskets. I have only shown a few but you get the idea. Who wouldn't love getting munchies, candy . nuts, popcorn for the holidays? They have coffee themed, candy, and more. Prices are between $25 to about $200. It will fit any budget. Check them out over at http://www.facebook.com/l.php?u=http%3A%2F%2Fwww.giftbasketsplus.com%2F&h=MAQGnRkAC . They also have a 20% off banner right now on their website. have fun making a hard decision. They all look great! I am giving away a gift wrappers kit. Ribbon, scissors, tape, paper ,tissue, gift bags, name tags and more. Don't forget to enter all of the other blogs participating in this giveaway, especially mommy's little sister http://dealsharingaunt.blogspot.com . We also have other giveaway going on so feel free to look around. Good luck! I will be giving away items to help your house look get ready for Christmas. We will give away ornaments, scented candles, garland, Christmas dish towels, Christmas ribbon and more. Please enter all of the other giveaways below especially Mommy's little sister http://dealsharingaunt.blogspot.com Good Luck! I have just finished reading Taming the Wind by Tracie Peterson. I thoroughly enjoyed this book. It is Book Three in the Land of the Lone Star Series. I have said in other reviews that I have done , who doesn't love cowboys? Tyler Atherton is a cowboy through and through. Carissa Lowe has come to accept that she will be a widow for the rest of her life. She is so happy that she has her daughter Gloria to love and care for, but she is afraid to trust and cannot get over her fear to open her heart again. Tyler Atherton finds out that she is living with her sister on a ranch nearby and he realizes that he has never forgot her. Their lives seem to get closer and closer,Carissa's daughter Gloria, has decided that she will continue to try to get herself wrapped around his finger. Tyler finds himself wanting to provide a home for Gloria and Clarrisa but he feels that he is unable to fulfill an obligation that continues to haunt him. The challenges continue to mount and as they are, Tyler and Carissa need to preserve their new love. Will they be able to call this land home? I was given this book by Bethany House Publishers for the purpose of a review. I was given no other compensation for this review and all opinions are my own. We are now doing a countdown to Mommy's birthday. Bobo and Sissy, as usual have allergy problems. All of us do. Most people do not know that some allergies are worse in the winter because the house is buttoned up and the air has little circulation. The furnace makes it worse because it blows the dust mites around. Both Bobo and Sissy are getting to be quite proficient in the workings of the computer and the iPad. We are working on addition and writing more and reading. We have been using READING EGGS with great success. They both love to read books with us. The use of the Tag pen is also helping to read . They remind me of the records we use to get with the read along books so that we could follow the story ourselves. I can remember waiting for the beep to let me know when to turn the page. Haha! We were all safe and together today when an Amber Alert broke into the TV while we were watching it. We were once again happy to be able to have the feeling that we know where Bobo and Sissy were. Maybe we seem to be overprotective, but we feel differently. We have enrolled the kids into a program being sponsored by SIX FLAGS to promote reading in children. There is also a place for homeschoolers to sign up. When they complete the required number of hours they receive a free ticket to go to SIX FLAGS. What a great program. Homeschooling takes work and commitment. It has and is a true learning experience. The kids are showing and teaching us a lot. We have had people ask us in the store what grade the kids are in. We answer that they are homeschooled. In 9 out of 10 cases they answer with, one of relatives homeschools, or one of my friends do. There has never been anyone to seem shocked. 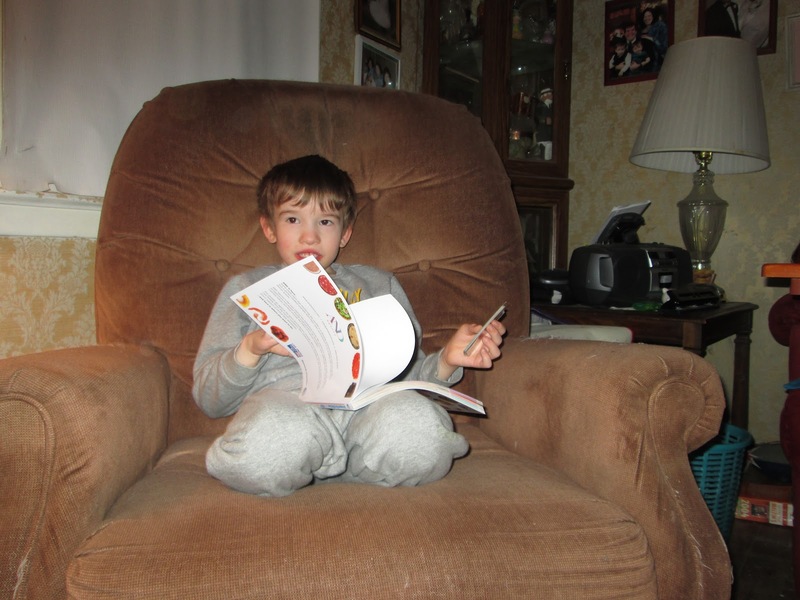 Let's keep making others understand what homeschooling is and why it is so good for the kids. This event is hosted by A Helicopter Mom, About A Mom, The Kids Fun Review, Sunshine and Sippy Cups, and The Adventures of J-Man and MillerBug. 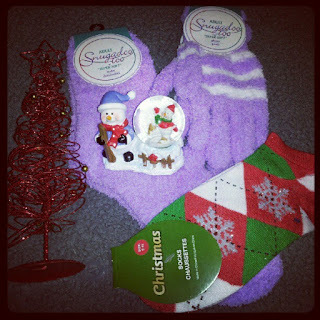 We are joining with other bloggers to giveaway Christmas related items. We have decided to giveaway a Christmas wrapper's supply box. We will have gift tags, tissue, tape, scissors, gift bags, gift wrap, bows and more. Please enter all of the other giveaways especially Mommy's little sister https://dealsharingaunt.blogspot.com . We also both have other giveaways going on so feel free to enter as many as you want. Good Luck! Welcome to the "Giving Thanks for our readers" Giveaway Hop! Brought to you by Super Events Media & Social Marketing Mom! This event runs from 12:01am November 16th till 11:59pm on November 30th. At the bottom of this post you will find links to all of the participating blogs where you can enter to win a fun fall related prize with a value over $25! For our giveaway we are giving away things related to saying thank you to our readers. We know how much time it takes to read our blogs and that is why we are so thankful. The first part is a book called "THE BEST SLOW COOKER COOKBOOK EVER BY NATALIE HAUGHTON, that will hopefully give you a little more time in the kitchen. the second is a new audiobook called NIGHTS IN RODANTHE BY NICHOLAS SPARKS,which will let you listen to a great book while doing other things.There will be a few other surprises. Please enter all of the other blog giveaways especially Mommy's little sister https://dealsharingaunt.blogspot.com . We have a lot of other giveaways going on as Mommy's little sister does , feel free to look around. Good luck ! Don't forget to stop by these other awesome blogs & enter to win their great prizes too! Tonight we start yet another giveaway hop called "HAPPY HOLIDAYS GIVEAWAY HOP" sponsored by Life with Two Boys & Mom Blog Society. It will run from November 15th to November 29th. There will be a lot of giveaways. We cannot wait to get started! This is how the figures are taken apart. We were given the opportunity by MommyParties to host a party sponsored by "LITTLEST PET SHOP" which premiered on THE HUB on November 11th at 11:00 am. This is a new show produced by Hasbro Studios. It is about a little girl named Blythe Baxter who moves with her father on top of a the Littlest Pet Shop. She realizes that she can talk to animals and that is when the real fun begins. We were sent a DVD screener of "LITTLEST PET SHOP" episodes "BLYTHE BAXTER"S BIG ADVENTURE" Part 1 and Part2. We also had a preview of Season 3 of the hit show, "MY LITTLE PONY FRIENDSHIP IS MAGIC." We were sent the 2 DVDS , Littlest Pet Shop Lip Balms, Littlest Pet Shop Masks, Littlest Pet Shop Masks, and the Littlest Pet Shop foldable hairbrush/mirrors. Tonight starts another giveaway. This one is called Giving Green ...The Green Gift Event, hosted by Frugal Greenish Mama and The Simmworks Family Blog. All of the participating blogs will be giving away something that helps the environment. I was really excited to be able to review this book for a lot of reasons. The first reason is I love Christmas, the second is I love Cindy Woodsmall just to name a few. 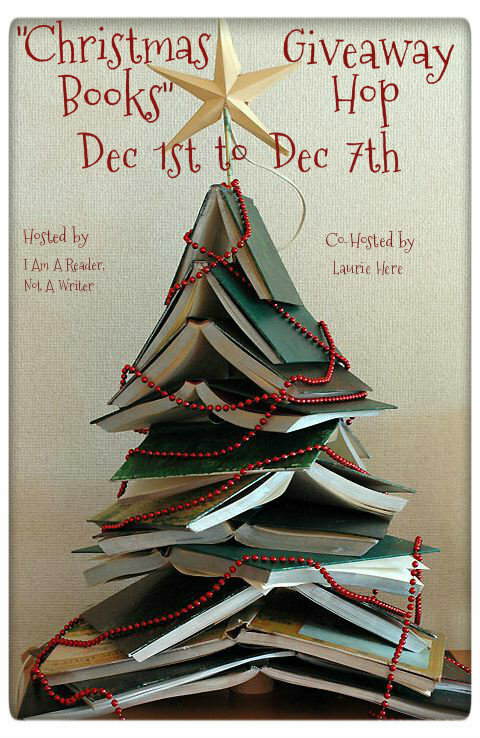 Christmas in Apple Ridge is actually a book that contains 3 great novellas. These are 3 heartwarming stories of love, family and overcoming tragedy. The first is, The Sound of Sleigh Bells. This is a story about a young woman named Beth who cannot let go of a tragedy in her past. After she sees a carved scene about Amish children she wants to meet the artist, and she takes her niece. She finally finds him, but will Beth be able to get a real second chance at love? The second is The Christmas Singing. Mattie believes she has a great future. She is to to marry her childhood sweetheart when her future comes to an end. Through all of this he gives her no explanation for his decision. She decides to move away. She meets someone new and becomes a cake decorator. Something happens to make her return to her home 3 years later. She finally learns why he called off the marriage but will this lead to even more heartbreak? The third is The Dawn of Christmas. For 4 years Sadie has been away from home on mission trip to Peru. When she returns her Old Order Amish family wants her to settle down. Levi, also has no desire for any woman. As the time goes by they spend more time with each other, and their hearts start to feel for each other, things that they thought they could no longer feel. They must learn to trust each other of none of this will work. I fell in love with all of these characters. It is a great group of 3 small stories. I was given this book by Waterbrook Press, Blogging for Books for the purpose of a review. I was given no other compensation. All opinions are my own,. Bobo and Sissy watched and learned how to vote today! They both watched as either Mommy or Auntie Icky http://dealsharingaunt.blogspot.com voted. They were shown how to sign in, get a ballot and pick your bubbles to mark, then they all walked over and watched as the ballot was put into the counting machine. Then they got a sticker that said that they voted! They were so excited to show all of us their sticker and tell us how much they learned. When they were walking out they were both talking to the poll workers and they both also told them how much they liked doing this. We saw other children voting with their parent and or caregiver, what a wonderful sight. Then we all went out to lunch. I have never been so proud. We as a family believe that children learn by example and hands on learning. Especially children that are being home schooled. It turned out to be a great day of learning. Now we will continue to talk about our history and how we got to where we are today. We are taking Bobo and Sissy to the polls. It is never to early to learn about how important it is to vote. I became involved in politics over 20 years ago like most people do, I believed that something was wrong so I decided to run for office and try to change it. I started by running for the Board of Education but quickly learned that it was the Town Council where the control of the money was. If anyone ever wants to get more funding and help for our children, they must work where the money comes from. When I was in office my husband, Mommy's and her brother and sister's Daddy and I brought our 4 children with us to see Nana's name on the ballot and to show them how to vote and how important it was. We were treated to a lesson that I really could not believe. If anyone needs to be told that every vote counts it surely isn't me. I won my seat by 4 votes. Yes, it really was that close! From that day forward when we taught the kids how every vote really counts we could prove it. My grandchildren have seen their Grandmother's picture in the town hall where every member of that year's Council members are pictured year by year. When they get older they will be shown their Grandmother's name on a plaque in one of the buildings in town. In fact Mommy's littlest sister http://dealsharingaunt.blogspot.com ran for the Board of Education a few years ago and came very close to winning. Bobo and Sissy, like all children need to learn our history and how we got where we are today. Yes, tomorrow we will take Bobo and Sissy to the polls and I hope every other parent or caregiver takes not just their kids but anyone who wants to learn about our United Stated history. Every vote really does count. THANKFULLY HOMEMADE GIVEAWAY HOP NOV. 5th to Nov. 18th. 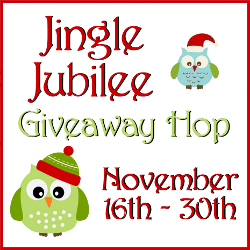 This giveaway hop will run from November 5th to November 18th. The title says it all. All of the blogs on this list will be giving away a homemade item. 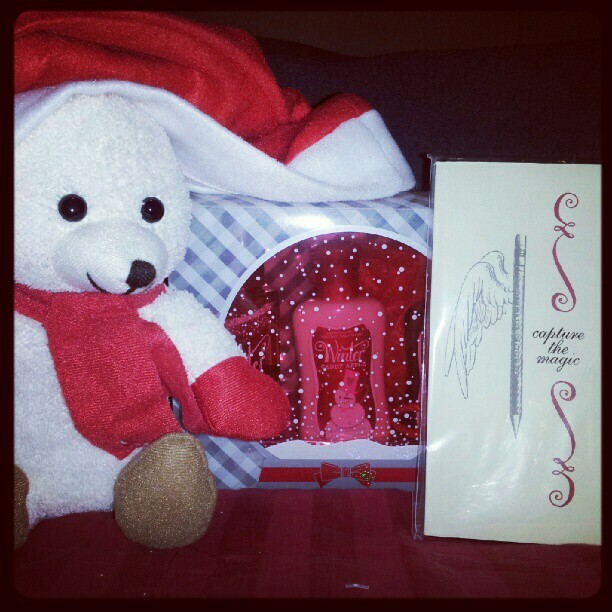 The host bringing you this wonderful giveaway is http://andersonsangels.com/"> and htttp://www.joyofmommajoyner.com/"> . 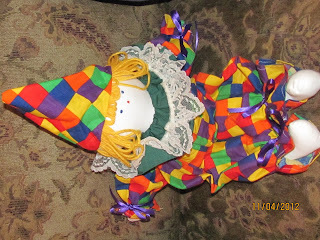 A couple of years ago Mommy designed a cloth clown doll. Whenever people saw them they liked them so she decided to bring them to craft fairs. One of the reasons people loved them is because they are all cloth, the outfits are removable and the hair is sewed to the doll. This is a cute prize for a child or someone who just liked homemade dolls and want to display them . I will post a picture as soon as I can. Please enter all of the other blogs listed below especially Mommy's little sister http://dealsharingaunt.blogspot.com Good luck to all. Please enter below. 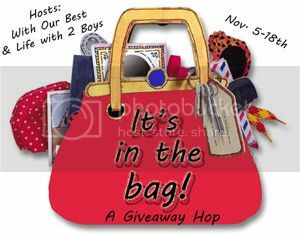 Welcome to the It's in the Bag Giveaway Hop hosted by Life With Two Boys and With Our Best! This is a "what's in your purse?" themed giveaway hop and will feature a variety of products that women find in their purse. Each of the participating blogs has an awesome prize worth at least $25 so after you enter my giveaway be sure to hop around to the rest of the blogs on the linky below. 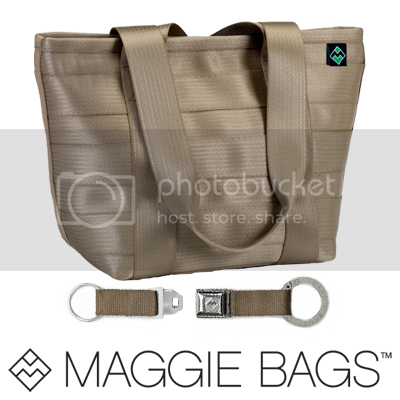 Thanks to our amazing sponsor, Maggie Bags, we also have a fun Grand Prize for one lucky winner... A stylish Campus Tote and coordinating Key Chain (ARV $104)! Maggie Bags offers fashionable and eco-conscious handbags and accessories that are constructed from genuine automotive seat belt webbing. Ready to make a purchase? Use code: InTheBag for 25% off any Premier Collection purchase. Items you might find in your purse/bag hand sanitizer, makeup, pens, small notebook, and of course some surprises....don't forget to enter Mommy's little sister http://dealsharingaunt.blogspot.com . We both have a lot of other giveaways going on so feel free to enter all of them. YOU LOOK MAHVELOUS BEAUTY HOP NOV. 5th TO NOV. 25th ! Welcome to yet another giveaway hop! This one is a beauty themed hop. This giveaway is hosted by How Was Your Day? Wow, have you ever thought of how many products that there are to make you feel and look beautiful? Have you ever thought about how much they cost, and how much fun it is to try out new products? That is what this giveaway beauty hop is all about. All of the participating blogs listed below will be giving away a beauty themed item.Time to spend a little time pampering yourself. Each blog has put together a package that's worth at least $25, with many being much more. In addition, we also have a fantastic grand prize. PMD Personal Microderm has generously sponsored a grand prize of a PMD Personal Microderm Machine! You can read Greta @ How Was Your Day's review here. Enter to win the PMD Microderm machine here. Don't forget to enter all of the giveaways below especially Mommy's little sister at http://dealsharingaunt.blogspot.com . While you are there and here look around and enter all of our other giveaways. Onto the giveaway we will be giving away items that will make you look beautiful, different kinds of makeup, Loreal, Neutrogena, Revlon, and more, lipsticks, nail polish, eye shadow, and more. Hi we participating in another of a long list of giveaway hops. Welcome to the Spring Cleaning in Autumn Hop hosted by Saved By Grace and How Was Your Day?
. The theme of this giveaway is cleaning, organizing, basically sprucing up your house for the upcoming holidays. Each prize giveaway will be worth $20.00. Onto our giveaway...We as usual will have a package of some of the fun and necessary items you would need to get your house looking great. We will be putting in storage organizers , some great smelling soaps,some things to clean with, a candle, and more surprises! Please remember to enter all of the great blogs in this giveaway hop especially Mommy's little sister http://dealsharingaunt.blogspot.com . This giveaway lasts for only one week. Good luck to all! While you are here check out all of my other giveaways taking place right now! The kids and Mommy have been working on the Earth , how we live on the earth, how many planets, what are their names, and still talking about odd and even numbers and how they form patterns. Auntie Lala made a huge family tree and the kids are writing their names on each leaf. http://dealsharingaunt.blogspot.com were without power for a little over a day. At our house we only got 10 kids we usually get about 40. We had a ton of candy left over. Thank goodness for Bobo and Sissy , this holiday would be really sad for us because Poppie made a huge deal out of it every year. He scared the parents as much as he scared the kids. We went to see Mommy's little brother and his baby. What a beautiful child! EVERYONE DO NOT FORGET TO TURN YOUR CLOCKS BACK THIS WEEKEND! We love getting the extra hour of sleep. We are doing new giveaways every day. Try to enter all of them. There are a lot of other bloggers participating as well as http://dealsharingaunt.blogspot.com . We are starting to think about Thanksgiving dinner. We will probably have what we call a baked potato bar. I'll talk about that when we get closer to the holiday. We send our best wishes and prayers to those who were most affected by this hurricane and we hope that they get back to normal as soon as possible. Last year we went without power for about 9 days. It was horrible!